Let’s start with one of the easiest: Google. As you probably know, when you search Google, you’re not actually searching the live web – you’re searching Google’s database of everything they decided to cache from the live web. When you click on the link, you’re taken to the live web, and the site may have changed since Google cached it. 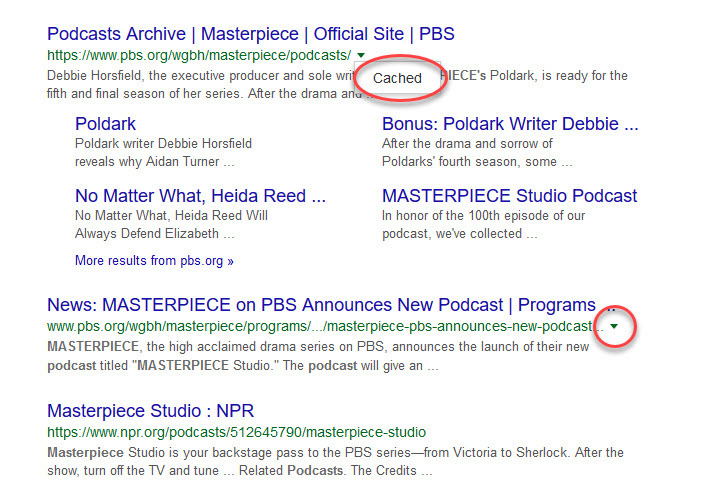 So when you go back to the search and click on the word CACHE, you’ll be taken to that archived version of the page. There’s your search term! Yay! If you do remember the name of the resource / website where you originally found the page, and the approximate date of when you found it, it’s always worth checking out the truly fantastic Internet Archive (IA) to see if they saved it. In case you haven’t discovered it yet, the Internet Archive is a nonprofit organization with an online “library of millions of free books, movies, software, music, websites, and more.” The organization is dedicated to preserving a record of all the information found in the surface web (and a bit in the deep web to a certain degree, as well). To search for a particular page, go to the Wayback Machine’s search bar and plug in the main URL for the site you’re looking for. Once there, you’ll have a menu displayed of all of the dates that were cached for that website. Pick the one closest to the time you’re looking for, and (hopefully) voilà! You may be able to search for the exact URL you’re looking for, but I’ve had less success with that myself. If you haven’t been there for a while, it’s really worth checking out. Here’s some good news: there’s a free resource you can use to help prevent the sort of frustration you’ve experienced with links not being there. Let’s say that you’ve created a profile or written an article with links in it and you want your readers to always have access to the web pages you’ve referred to in your article. Here’s where Perma.cc comes in. 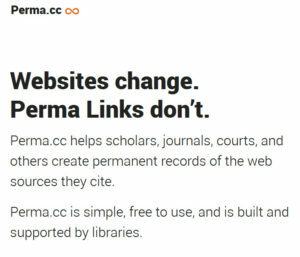 Created by Harvard University’s Library Innovation Lab, access to Perma.cc is free (although there are fee-based upgrades available for those with serious link-making needs). 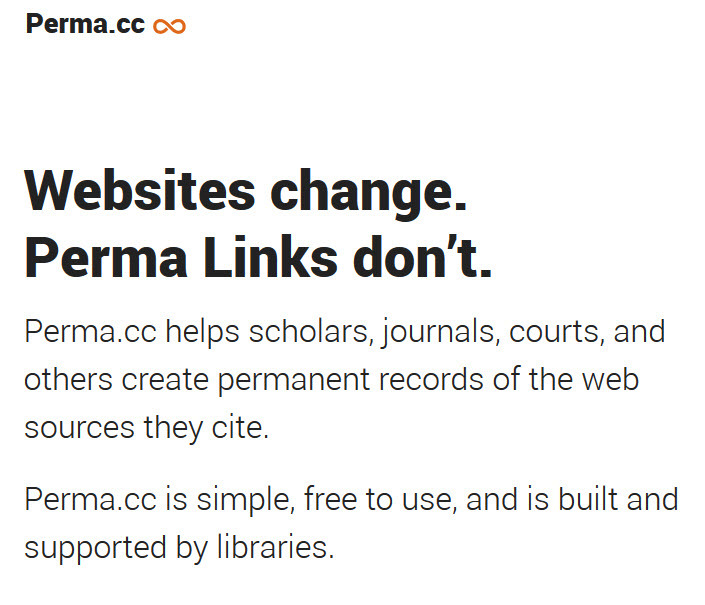 Once you create a Perma.cc link the site automatically creates an archive of the content. When someone clicks on that link, they’ll be directed to the archived page (sort of like Google’s cache) which will also have a link to the live page in case it still exists. So there you go – three useful resources for making sure you’re permanently linked to the information you need. As always, let us know in the comments if there are other resources you find useful as well. These are all resources my team and I use in our work. None of the above have paid or solicited The Helen Brown Group to have their products mentioned on our site.